DYNAMOS midfielder Valentine Kadonzvo said he still wants to grow and will not leave the club now. 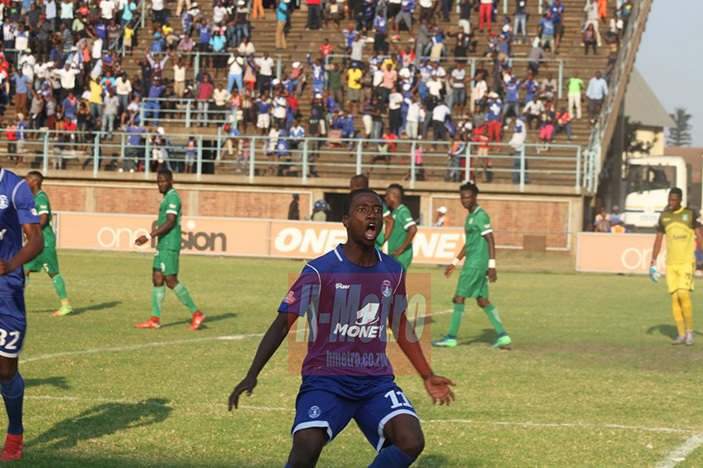 Kadonzvo, who sparked for DeMbare towards the end of the season, said he is staying at Rufaro for the upcoming 2019 season. The youthful player is remembered with his good run which saw him scoring three goals in three matches, including a winner in the Harare derby against CAPS United. His contract with DeMbare runs until the end of 2019. “I am not thinking about anything away from Dynamos. My next year resolutions starts and ends with Dynamos. “Despite having a running contract with them, I would love to stay at Dynamos for next season. “I will be fighting for the championship at Dynamos come 2019. We have a lot to do, I still want to grow, to change people’s perception about the team,” Kadonzvo said. The midfielder promised to be at his best next season. “Dynamos is a big team and being part of the team is great. Many players want to be part of big teams and I have the honor to be part of them it’s a blessing for me. “We just hope and pray that next season won’t be a reminder of the just ended season. “Big things are in order for 2019, we will do our best to make it a better one if not the best,” added the 25-year-old. Kadonzvo said they are going for the big one next season. “We are challenging for the honours next season. We will come back as a changed side and we will be more determined. “With team work, hard work and God all is possible,” he said.